Today, Monday 17th April, 2017, at 13:05 Syria local time (12:05 GMT), our Children and Maternity Hospital in Jabal Alzawieh in Idleb Countryside was targeted by three airstrikes. 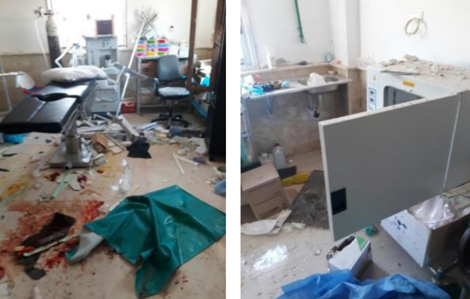 The high explosive rockets fell near the Hospital’s perimeter fence, causing extensive damage, but thankfully, no fatalities or serious injuries to Staff, patients or their families. Several Colleagues, including a Gynaecologist and an Anaesthetist performing a C-section, suffered minor injuries from shattered glass and falling debris. However, there has been extensive material damage to various Hospital Departments, including operating theatres and lab facilities. A patient’s car was totally destroyed. This is an initial report. A full, detailed report will follow, once a comprehensive damage assessment has been carried out. The Hospital remains out of service, to allow our teams to carry out essential maintenance, and to ensure the safety of our Staff and patients. 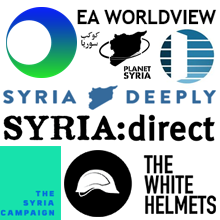 On behalf of the people of Syria, we call upon the international community, and all relevant international bodies and organizations, to use all means necessary and exert pressure on all parties in the conflict to stop the ongoing atrocities, and to condemn these flagrant acts of total disregard of international laws and conventions. Syria Relief is a UK-based charity founded in September 2011. 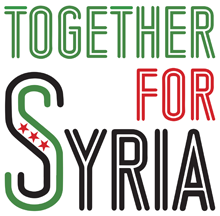 Syria Relief is a non-political, non-denominational, non-governmental organisation. It was set up in response to the crisis that engulfed Syria in March that year, to provide support for Syrian families in need. Syria Relief’s programmes on the ground provide food, shelter, water and sanitation, medical care and education to displaced and destitute civilians inside Syria.